(a) Temporarily install a new front suspension member body mounting rear cushion LH while confirming the installation direction. 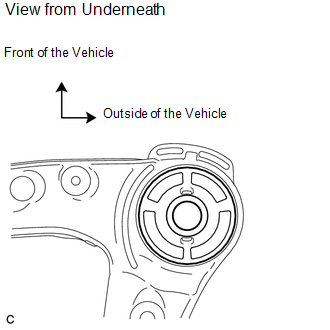 Position the front suspension member body mounting rear cushion in the correct direction. 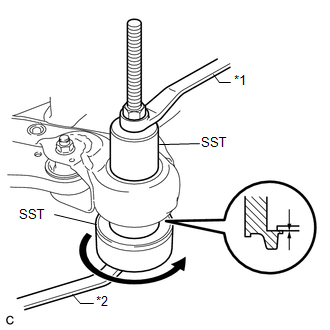 (b) Install SST as shown in the illustration. 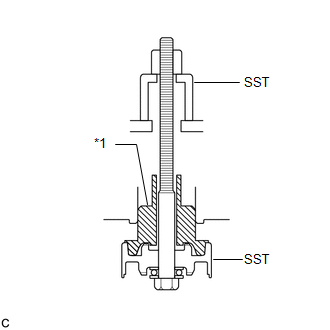 (c) Using SST, install the front suspension member body mounting rear cushion LH as shown in the illustration. Make sure that there is no clearance between the front suspension member and front suspension member body mounting rear cushion LH. (a) Temporarily install a new front suspension member body mounting rear cushion RH while confirming the installation direction. (b) Using SST, install the front suspension member body mounting rear cushion RH. (a) Temporarily install a new front suspension member body mounting front cushion while confirming the installation direction. 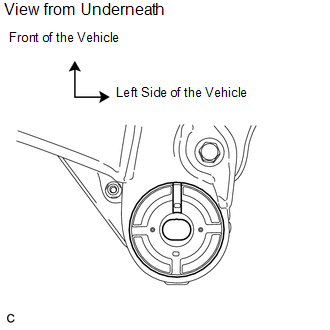 Position the front suspension member body mounting front cushion in the correct direction. 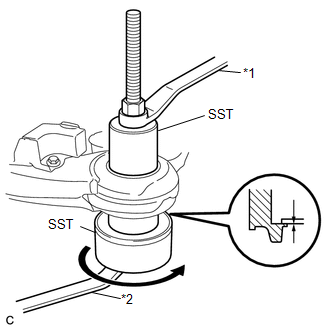 (b) Using SST, install the front suspension member body mounting front cushion as shown in the illustration. Make sure that there is no clearance between the front suspension member and front suspension member body mounting front cushion. 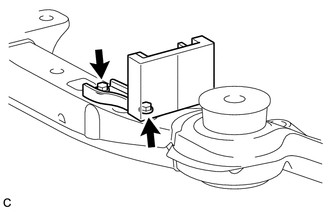 (a) Install the front suspension member dynamic damper with the 2 bolts. 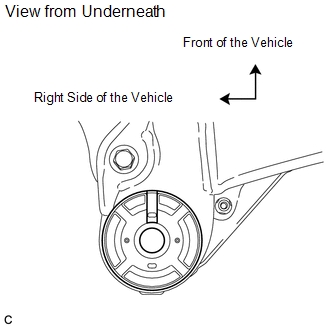 Refer to the procedure from Install Engine Assembly with Transaxle (See page ).